Monique Griffith Designs: R is for Rabbit - Layout using Kate's ABCs - Plus Blog Candy! 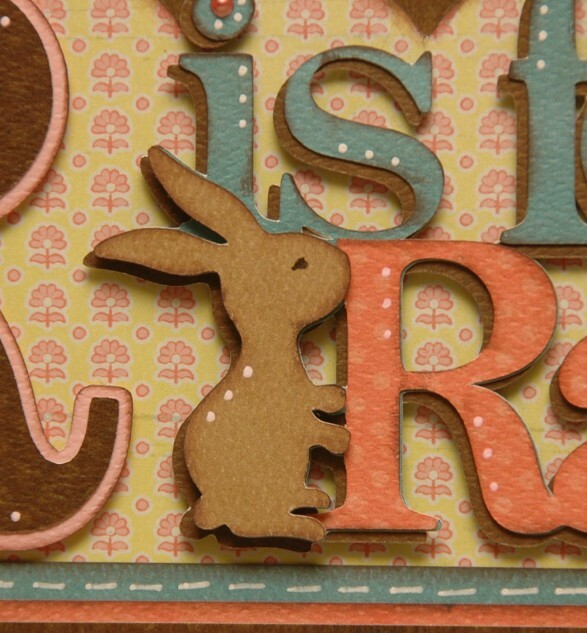 R is for Rabbit - Layout using Kate's ABCs - Plus Blog Candy! I'm just going to make a very limited number of these because it is a pretty new cartridge that not everyone has yet. But if you have a little girl, a niece or a granddaughter, this is an absolute must-have cartridge - you will LOVE it!!! I think it may still be a JoAnn's exclusive, but don't quote me on that. If you like this kit, and you're planning to get this cart, I'd recommend that you order this kit now while it's in stock because I'm not making very many, and you can always get the cart later if you want. This layout would be great for any Spring or Easter pics of your sweet little one. I am planning to get my little Emily a brown Easter bunny, just so I can have some cute pics for this layout - is that crazy or what? Please tell me I'm not the only one who does things like that, LOL! The kit will include all of the patterned papers, cardstock and ribbon that you need to complete the layout (there's a LOT of paper involved here - the background alone takes 8 sheets - yikes!). The photo mats will be pre-cut for you, and you'll get full directions with Cricut Cut Chart, well-organized written instructions and plenty of color photographs. If you'd like to see how our kits work, you can see a video HERE. 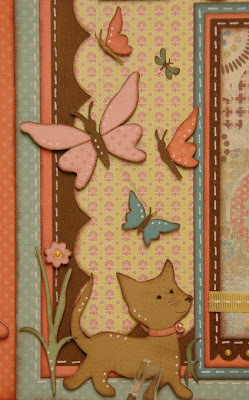 Supplies you'll need to make this project as shown: Cricut Expression and mat, Kate's ABCs cartridge, dark brown chalk ink, white gel pen, brown pen, 3D pop dots, scalloped border punch, Ranger Liquid Pearls (Buttercup yellow and Petal Pink), plus basic tools and adhesive. The complete kit is $25, or you can always purchase just the directions for $10. Shipping is available, and ranges from $5 in California to $6-$9 in the rest of the US, depending on location. Combined shipping is available. These should be ready to ship by April 28th. To order, just email me at moniquegriffith@yahoo.com. Include the name of the kit you'd like, your state or zip, and preferred payment method (PayPal or check). Be sure to check in tomorrow. I'll be posting Nana Susan's latest kit - Elegant Cards. Oh. My. Goodness. Her project is sooooooooooooooo exceptionally beautiful - I can hardly wait to show it to you!!!!! Hmmm, does anybody around here like blog candy? How about a nice little assortment of Ranger's Liquid Pearls and Stickles? Those are a staple to scrapping life! Just leave a comment here on this post, and then come back each day this week for more chances! Wow Monique! What a fabulous layout! Your talent amazes me! Another GORGEOUS LO!! I don't know how you do it but I'm glad you do!!!! You motivate me!!! Would love to win this as I haven't tried or bought (gasp!) the liquid pearls! I LUV your layout and I agree that kates abc is an adorable cart!!! Gorgeous LO! I love the colors. Not got the cart but love the layoout. Its fab you are definitely back on track! Keep up the good work. Love it! All the color choices are perfect! Wow what a great layout!!! I think you did a beautiful job! Oh it is so beautiful!!! I just got the Kate's ABC and the Nate's ABC. So sweet! I just got this cartridge and LOVE IT. Your pages are amazing. thanks for a chance to win the liquid pearls they are great. Monique ~ you never cease to amaze me with your talent! This is absolutely beautiful!! I am always amazed when I visit your blog and see the stunning layouts that you create! I love the papers you choose and all the little details that you add to your projects. Awesome layout as always. You are the queen of detail! Your layout if gorgeous! You definitely have the eye for this. This is such a beautiful layout! Thank you for sharing. I wish I had a little girl in my life to use this kit for! Wow, this lo is just so beautiful!! I don't know how you do it!!! I wish I had your talent for putting together gorgeous lo's like this one!! This is a cart that I have been wanting for some time now. It's such a cute cart! Your layouts are always so gorgeous!! How do you do it??? My brain just doesn't work that way! Your layout is super cute! When I seen this cart at J's I just had to have it. So many cute cuts for a girl. Great layout!!!! You're not the only one that takes pictures for layouts you've made. I bought B is boy just for the little tykes car, and finally picked up the little tykes car for my granddaughter, she came home this weekend and I snapped lots of pics with her in her car and can't wait to "scrap it". Your layout is too cute!! Thanks for sharing it with us. You are such an inspiration. Beautiful layout! Your work is amazing! What a beautiful layout! You are so talented! Thanks for the chance to win! What a pretty layout! Beautiful colors and patterns - love your creativity!! My sister in law just got this cartridge for me!! What a surprise and a very happy one!! 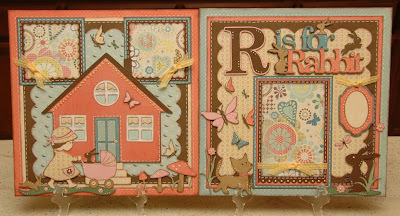 This is an adorable layout and I can't wait to play with Kate's ABC's!! This is another fabulous layout!! Just love your layout. The details are amazing. And you always seem to convince me I need a new cart. Ha. Nice Layout! I have boys, so probably can't use this but love it nonetheless. Love Liquid pearls. Thanks the chance to win! As always, your layout is incredible! I've been trying to find Kate's ABC's for the past 6 weeks & it's always out of stock. Will keep trying! I love love love your layout. One of the next Cricut cartridges i want to get is Kate ABC'S, and the Heritage cartridge. I love following your blog and your projects. Thanks for the chance at some blog candy. Your LO's are always great but this one is one of the cutest! Love it. I seriously just tried to order some Liquid Pearls, and somehow they didn't get into my shopping cart. Boo.So I could really use these!!!Thanks. 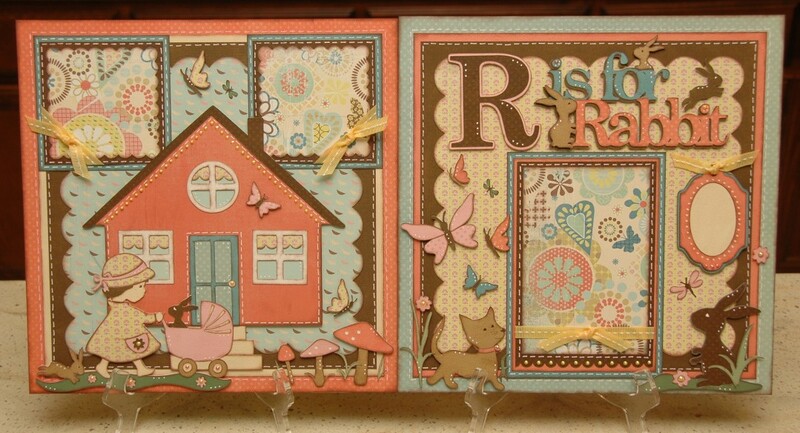 Love the Kate's ABC's layout kit. Wish I had a girl. Awesome layout!! Would love to win, I have never used liquid pearls before! What a beautiful layout! 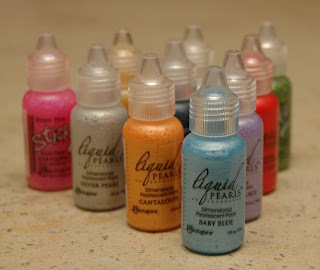 I haven't used my my liquid pearls in a while.....I will have to get them out and use them today! This lo is adorable! This cart is at the top of my wishlist...I need this kit! I've been wanting to try the liquid pearls, so would love to win the blog candy...thanks for the chance! I am embarrassed to say I have never tried or bought the liquid pearls or stickles. However after seeing how you use them, I am inspired. Thanks for the blog candy. This is an AMAZING layout!! I have a granddaughter and am pretty sure I NEED to get the Kate cartridge. So beautiful, Monique! Your use of colors and patterns is always just perfect! I'm loving this cartridge too. That lo is so gorgeous, as is all your work! Very cute layout!! Thanks for the giveaway!! Your layouts are amazing! Would love to win some liquid pearls to bling up my projects. Thanks for offering a great prize. OMgoodness! I love this page! Too cute! This layout is so cute! I just love what you do with Cricut! The new layout is amazing! I love the beautiful paper that you used. Thanks Nana Susan for convincing Monique to make this one a kit! I am breathless, you have done it again! Thanks. WOW! Do you rent out your brain? I am truly inspired! Thank you for sharing!!! I am so amazed when I see your work. It is so neat and prestine! The layouts you come up with are so creative. Thanks again for sharing the great layout! This layout is so gorgeous!! I am amazed by all you do. I would love to win this give away, none of the stores in my area even know what liquid pearls are. That is a wonderful layout. (That cartridge would have helped me out on my Easter cards.) by the way, love blog candy. Haha! Great layout!! I have always wanted to try perfect pearls, thanks for a chance to win. Holy moly!!!! This is amazing :) Very cute!!! Gorgeous layout Monique. Absolutely love, love, love the papers you used. Thank you for the chance to win your latest blog candy. This is so cute I wish I had a little girl. All kids and grand kids up until now are boys. Love the papers. 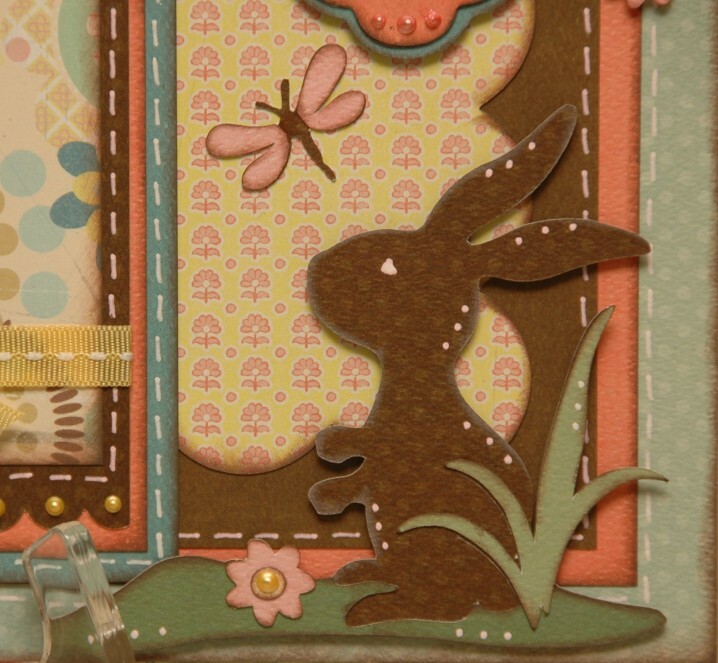 I love this layout and the bunny is so cute. I love all the layouts you do and it also helps inspire me to do more. I know the blog candy this week is great! This is just beautiful!!! Amazing. Oh what a PRETTY layout!!! Luv the colors and the paper companies (they're both my fav!) I luv stickles, but haven't tried the liquid pearls yet... thanks for the great blog candy and the chance to win! That is such a beautiful Easter layout!! Thanks for sharing it with us!! I love this layout! It is very beautiful. This needs to be framed when you get the pics in! I admit I do beg my kids to pose for pics in places and with certain props with layouts in mind! I drive them crazy that way. What an awesome layout. I agree with you on the liquid pearls...they rock. Wow this layout is beautiful. I love it! Wow.... super cute layout! I need to add kates abcs to my must have list! TFS! Your layout is amazing, I love it. What an adorable LO! Love it! Thanks so much for sharing your great talent with all of us. I love the way you use the liquid pearls and am dying to try it myself!! Great layout! I was playing with this cartridge and cut this weekend too. Nice easy layering. Love your layout! Great layout. You are very talented. You are killing me, Monique. :) Each LO is just fantastic. Makes me want everyone. :) Love, love this sweet cart just as much as a Child's Year and that is saying a lot for me. Your layout is just beautiful - now I really want that cart! Love this new layout! Beautiful job, as usual. Thanks for the chance to win this awesome blog candy! Love, love love the layout! I deffinatly need to get that cartridge. This LO is adorable! !I love it!! I'm in awe at this layout. You are very talented...but I think you must know that already :-) I can't get over how pretty the LO is and I'm seriously thinking about adding Kate's ABC's to my collection. Thanks, as usual, for the inspiration to make great things! What a great LO, Monique. The paper choices as well as the design are just fabulous!! OOHHHH would love to have the pearl assortment. Thanks for the chance. Absolutely adorable! Everything that you do is so beautiful...god bless you! I love the use of colors and patterns. I'm loving this cartridge too. Thanks for the chance of winning the pearl assortment, I would love to try those, I don't know where to get it near me. I just love your work! You put colors and details together beautifully! Great job! Ahhhhhhh......as my heart melts, looking at this absolutely AMAZINGLY DARLING latest creation of yours, I am reminded of your unbelievable God-given talent. You have TOTALLY rocked my socks off with this one, Monique. Just when I think "She can't POSSIBLY do anything cuter than..(fill in the blanks with one of your FANTABULOUS layouts)" you prove me wrong with each new creation!! I am HEAD OVER HEELS in love with this one!!!! It's a MUST have, for me, FOR SURE!! Love this layout Monique! So beautiful! I need one for a boy :-) Can't wait to see Nana Susan's cards tomorrow! another great lo. tfs. i love stickles, but have not tried the liquid pearls yet. Wow!!!! This is an absolutely gorgeous layout!! Definitely one of my top faves now!! Your cricut did such a good job with those cuts!! Your layout is amazing! So much detail in these cuts. Thanks for sharing this- and thanks for the chance to win blog candy too- liquid pearls are awesome! What a great Monday pick me up! So amazing! This layout is darling! Thanks for sharing! This is a beaautiful layout. I have been trying to get Kate's ABC for a month, I'm not giving up on finding it available. I was looking for liquid pearls yesterday, but did't find them. I didn't know Rangers made them. I would love to when them, so thank you for the chance. That is a beautiful layout, love it, you inspire me so much with all of your talent! Another fabulous layout Monique. You are so talented! I have never won any blog candy and would love to win this one. I can't believe it. You amaze me. You have managed to make a layout that I love more than anything you have ever done. It is almost too beautiful to put pictures in. That is something that I would probably frame and hang up in the spring. Wow!!!!! Wow! THat layout is amazing! I keep going back and looking at all the layering, the inking and the pen work. Amazing! I love your designs,please keep creating!! For sure I will be back tomorrow,thank you. 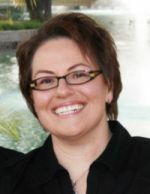 I just started following your blog and I am so glad I found it! I have learned so much. You are very talented and your work is beautiful! I love this layout. I don't have this cartridge yet but it is on my "want list". Love your two page layout. Thanks for sharing and a chance to win. Another beautiful LO! I don't know how you do it and so fast. I'm still working on simple LO from this weekend. This is adorable! I just love it! I would like to know where to buy the Liquid Pearls. I've looked at Michael's and Beverly's (my only store locations) - maybe I should just go online and purchase? Would love to win them, for sure! This layout is just beautiful. The detail is just amazing !! How do you come up with the ideas for all your great pages? 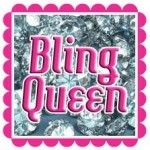 You are fabulous, I look forward to seeing your blog daily---- thanks for such inspiration!!! OMG!!!!! this is gorgeous..I would not put it in book..I would FRAME IT!!!!!!! This layout is fabulous............I love the colors! Thank you for sharing. AMAZING!!!! I LOVE LOVE LOVE IT!!! Thanks for the great ideas! OMG! This absolutely BEAUTIFUL. I am doing my best to resist buying, don't know if that will win over though. I have the Cartridge and a lovely little 3 year old girl. Your a total inspiration to how to really use these cartridges. Thank you for sharing an amazing eye! I am just amazed at the detail in your pages. I have Nate's ABC's and I would never have thought of such a lovely idea! What an adorable layout. It is so sweet! What a beautiful LO!! I love how it seems to come so natural to you.. I wish I could make a LO half as great as you do!!! Thanks for the chance to win the goodies!!! Sorry speachless!!! Please teach me. Can I come to visit you for a few weeks so you can teach me? Okay, I will be there tomorrow. Such a beautiful, wonderful layout for this upcoming Easter season. You continually cease to amaze me with your talent. Each new creation has more and more detail. Thanks for sharing your creativity and design secrets with us. Rock on, my friend, Rock on!! This layout is BEAUTIFUL! LOVE IT! I do like very much what I've seen from the Kate's ABCs cartridge. ....may need to invest in that one! :) Keep up the great work! Love your work. So talented. You are a real artist! Oh Monique, This layout is FABULOUS!!!! You did an awesome job. This cart looks really fun and I will have to add it to my wish list. Very cute layout! And thanks for the chance to win the liquid pearls & stickles (don't know what stickles are, but I'm sure that I need them)! What an Amazing layout! WOW! How in the world do you keep coming up with such fabulous layouts? Thank you for sharing with us. This is such an adorable layout! If I can only take one thing away from your projects and absorb them I will be truly blessed. You are amazing! You did a great job love all the details tfs!!! Wow, wow, wow!!! Another beautiful layout. So beautiful. Thank you for sharing!!! I love love love Blog candy, it's calorie free and no cavities...thank you for the chance to win Ranger's Liquid Pearls and Stickles. 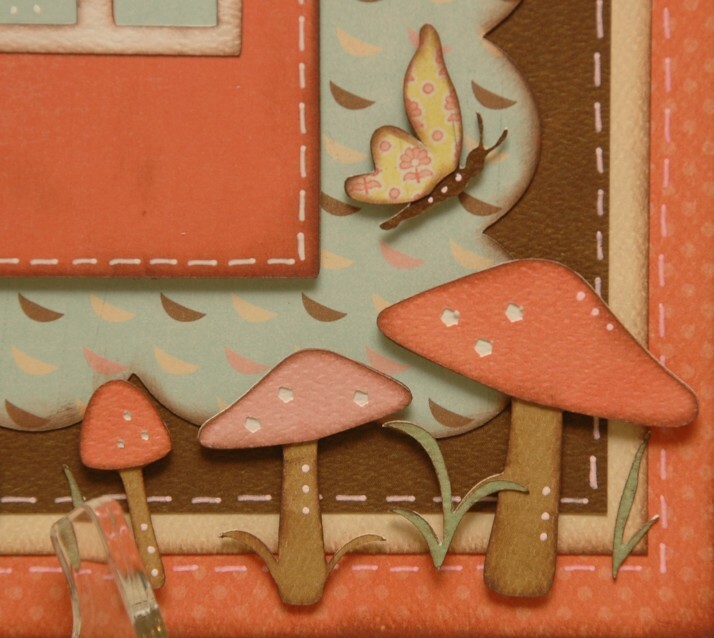 I love your scrapbook layouts, the brownish edges intrigue me as do the 3d popdots. I absolutely LOVE your work! Your layouts are amazing! I hope that someday I can create a layout half as nice as yours! I love, love, love this layout. I will have to get this cartridge. Just beautiful! Wow, what a gorgeous layout! You are sooo talented. I have never used liquid pearls but have a couple stickles and love them. Thanks for the inspiration! I LOVE this layout!! I just got this amazing cart and think it is just adorable! I LOVE stickles too. Can't live without them! Thanks for the chance to win! I am always amazed at your beautiful layouts...the amount of detail you can put on a page and have it look so beautiful and put together is a TRUE talent. I really look forward to each post! Great layout. I don't have this cartridge so I guess it will be on my wish list! I really like that paper too, beautiful colors! Great Job! this kit is absolutely beautiful, but then agaian I like all your kits... I hope to be able to purchase this one mext month when the retirement check comes in...Love it,love it love it. You've done it again with an exceptionally lovely layout...not to mention adding another have to have cart to my list (it's getting pretty long). Guilty of not using the cartridge to it's fullest potential. This has got to be one of the most adorable layouts ever!!! I do have twin grand nieces and can't wait to make something for them using some of your ideas. This is really gorgeous! I love the colors & the adorable cuts. I bet it will look cute with Emily's pic. Thanks for the chance to win your great blog candy - I've been wanting to try the new formula of liquid pearls. Absolutely adorable layout. With 4 granddaughters and one grandson I may have to put Kate's ABCs and Nate's ABCs on my wish list. I was wondering about Kate's ABCs...now I am certain it is a must have. Thanks for sharing!! I would love to try these out. They seem like so much fun! Thanks for the chance to win, your layouts are awesome. A-Mazing Layout Monique. This is fabulous. Your layouts are what I strive for! Would love to win the candy ~ I have some Stickles, but I've never tried the Liquid Pearls. Thanks for the chance to win them! 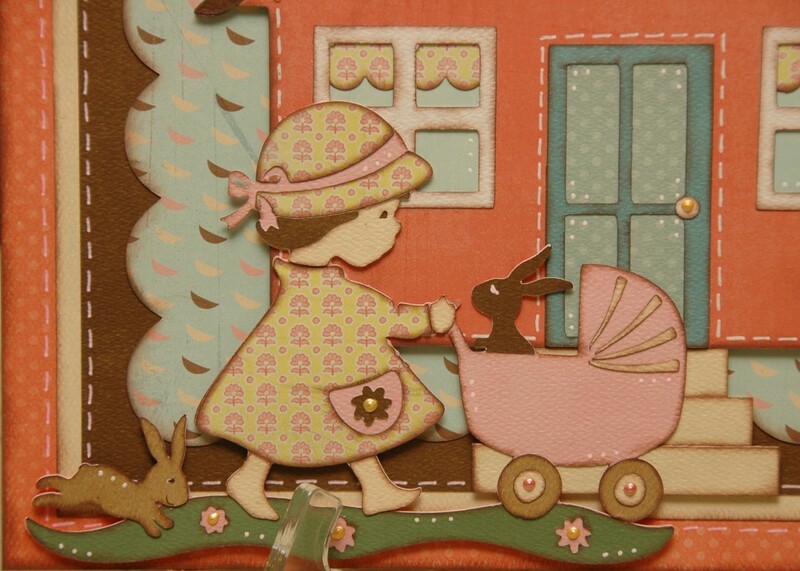 Love the details in this LO, especially the bunny rabbit, it's so cute! What a beautiful lo! I wish I had your talent! What a great give away! I attended the TX Stampede and learned about these must haves! Beautiful cards. I would LOVE to win the blog candy....never can have too many stickles!!! Wow! Your los are so detailed. How can you think that way? Amazing! Sweetness! And little Emily is going to love her brown bunnie (I'm glad you didn't cut it out of purple paper -- now, where would you find a real purple rabbit?)! I have a new grandson who is about to see his first Easter. Except for the little girl cutout I would like to use this layout. It is so perfect. I just loe your layout and I would just love to win those liquid pearls...I hve this cart already and am going t make my Easter layout for my 3 granddaughters tis year.. I don't have Kate's ABC's yet...but have been thinking about it! Darling layout you clever girl! Great layout and kits! I was made aware of your blog through the post the Paper Boutique made. So glad she featured your cards otherwise I wouldn't have known about your blog. Absolutely gorgeous!!! I so wanted to get this cart when I was down in Woodland a couple of weeks ago, but the JoAnns was out of them. I'm 90 miles from the closest one where I live. It is on my list of need to get some day. Monique you are so talented. Another gorgeous LO with so many details. Love this layout. Yippee, just got the Kate ABC cart! Thanks for all the inspiration! Your layout is beautiful. Thanks for the chance to win the liguid pearls!! Wow, I love, love, love this layout. It's beautiful. I love everything about it!!! Thank you for sharing your beautiful creations!! Wow. I love this layout. I always love all your work but I will be honest this is the first one that I right away was like okay go ahead and buy it lol... If I had the extra cash I would buy that right away. You do great work keep it up and thanks for sharing with us! Love your layout I want that cart so bad but I have a list of wants, I cannot keep up with all these Hello Thursdays!!! Great giveaway!! Really great layout. I have seen some really neat ideas with this cart. Now it looks like I may have to get it. Absolutely amazing. I just love your layouts. The detail, the embellishments, and the use of papers is outstanding! I envy your talent! My gosh...your layouts are gorgeous! I love every single one of them that I see! I want to be this good and this creative! So cute. Kate's ABC's is on my want list.